16-year old's car collection can make Ambani's collection look puny; Even Salman Khan is a fan! 16-year old’s car collection can make Ambani’s collection look puny; Even Salman Khan is a fan! 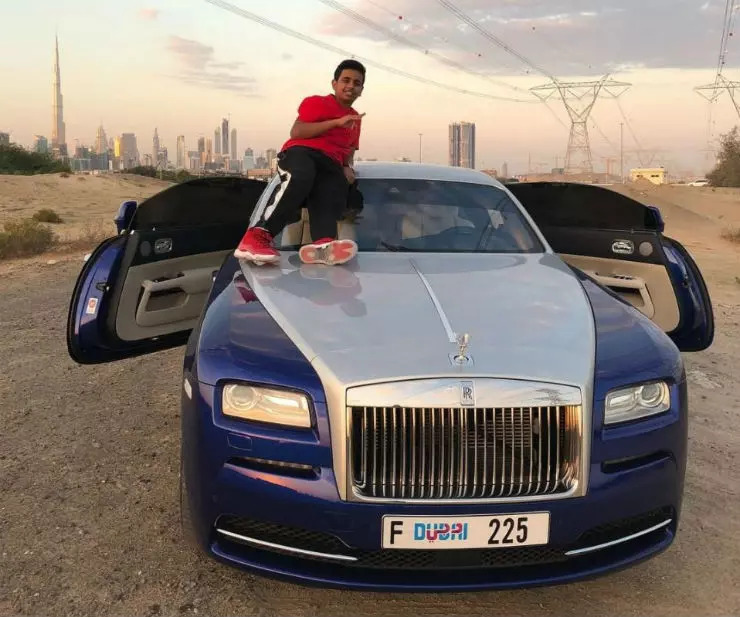 While there are many celebrities around the world who own exotic cars, this 16-year old kid from Dubai has an exceptional collection. 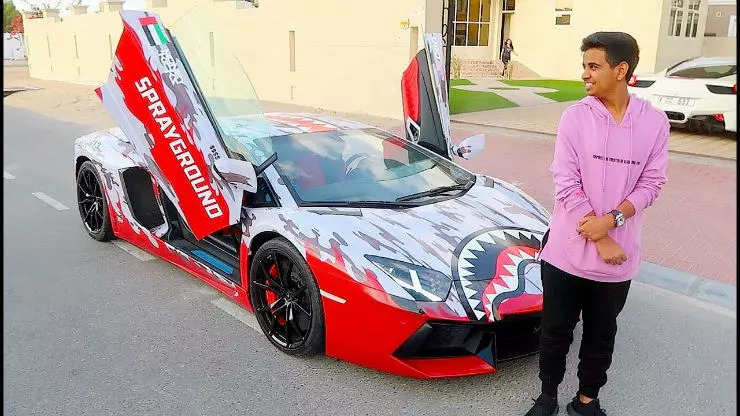 Rashed Belhasa is a popular YouTube artist and a social media personality who is also the son of one of the wealthiest and influential families in Dubai. 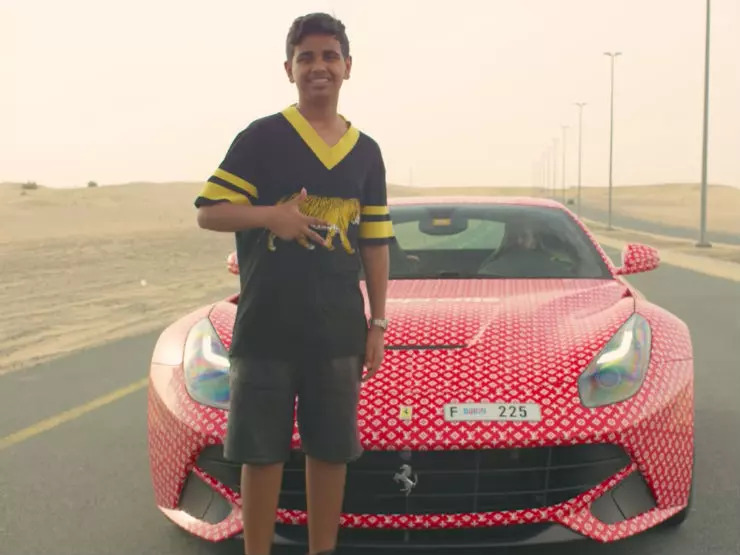 He goes by the alias ‘Money Kicks’ on YouTube and has a grand customised car collection in Dubai. 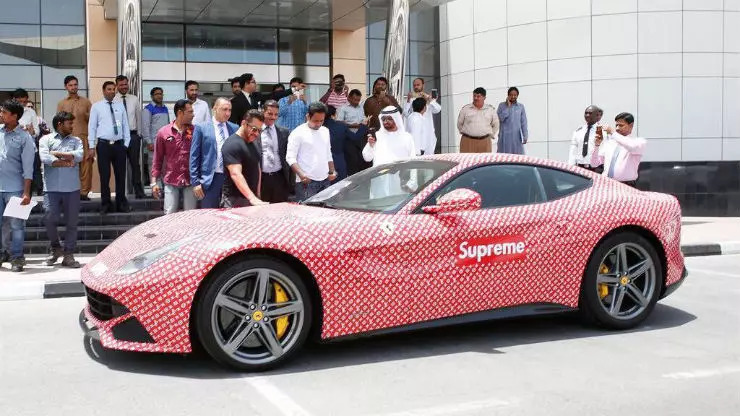 The rich and famous kid is quite popular and even Salman Khan took out time to check out his custom-wrap Ferrari. Here are four of the most expensive cars owned by the billionaire kid. Sadly, he cannot drive till he reaches the age of 18 according to Dubai traffic rules. Here is a Ferrari F12 Berlinetta owned by the star kid that is wrapped in customised Louis Vuitton print. Rashed lives a very lavish life and that is clearly visible in the customised wraps that he put on his cars. This is the same car that even Salman Khan checked out during his visit to Dubai. The F12 Berlinetta is powered by a 6.3-litre V12 engine that churns out a maximum power of 730 Bhp and a peak torque of 690 Nm. 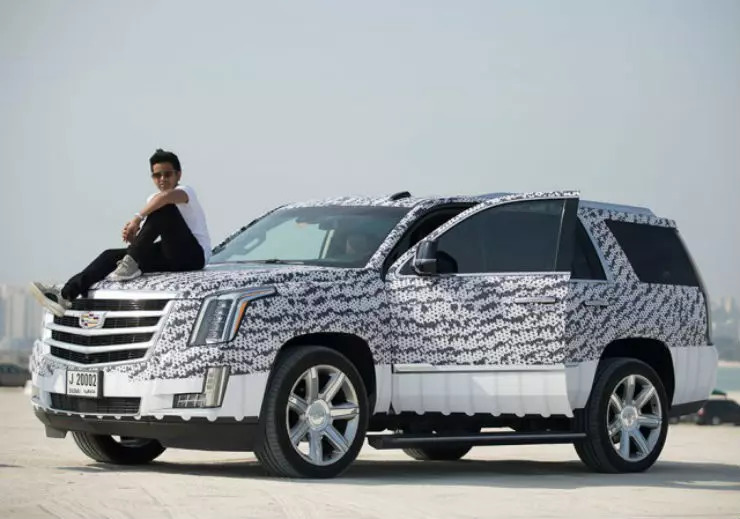 Rashed also owns a Cadillac Escalade that is custom wrapped under a unique white-and-black pattern. The young car enthusiast has also put aftermarket rims on the monstrous SUV. This SUV was bought in red colour but the stock colour has been covered by the new wrap. The SUV is powered by a 6.2-litre V8 engine that produces a maximum of 426 Bhp and 624 Nm of peak torque. It is also available with Flex Fuel engine option. The Lamborghini Aventador is the most expensive model in the Italian carmaker’s line-up. The Aventador seen here is a hardtop version that gets some eye-catchy body graphics. The Aventador seen here gets a very loud body wrap. The Aventador is available in different variants. The regular version of the supercar is powered by a 6.5-litre naturally aspirated V12 engine that generates a maximum of 690 Bhp. There is a more powerful version of the car that produces 740 Bhp and 690 Nm. Rolls Royce Wraith is a two-door coupe that is one of the most expensive cars in the Indian market. The dropping roofline of the Wraith gives it a unique identity. The two-door coupe is powered by a 6.6-litre V12 engine that produces a maximum of 623 BHP. The high-performance coupe is also dubbed as one of the quietest cabins in the world.